J.A.W.S. Enterprises is a family owned organization with a core group of members having over 20 years of experience serving clients who have come to expect nothing less than the highest quality product with on-time delivery and installation. J.A.W.S. Enterprises specializes in creating and installing custom furniture pieces, millwork, reception desks, and decorative wall details/units. Having had the privilege of working with a wide variety of Design professionals and clients, both commercial and residential, J.A.W.S. Enterprises prides themselves on being able to fulfill your most creative design visions and ideas. J.A.W.S. Enterprises provides attention to detail even on the smallest of items in your project, with the end result craftsmanship, while remaining within your budget. On-time deliveries are not just empty promises. J.A.W.S. Enterprises knows that if you have taken the time to share your vision with us, then you will want it in your home or office as promised. Our Designer/Craftsman focuses on each and every detail to ensure your finished piece is that “one of a kind” piece you envisioned. With over 20 years in the wood working field, he attributes his passion to having grown up in a family of wood craftsman. The company name itself is unique as the acronym is comprised of the initials of those special family members. From our first meeting with you to delivery of your commissioned piece, everyone at J.A.W.S. Enterprises will strive to achieve and exceed your expectations. This is our mission no matter the size of your project from a table top piece to an entire wall unit, kitchen, or bathroom cabinetry. Style, Craftsmanship and Dependability are the principles by which Stewart Brannen Millwork has gained its reputation. Since its inception, Stewart Brannen has been dedicated to providing its clients with some of the finest examples of wooden fenestration and custom millwork the world over. Lewis Stewart and Edmund Brannen co-founded the company in 1989 and grew the business in a small town in Southeast Georgia. The company, now thirty years old, is still tied to its small town roots with small town values. The Emrich Team has been designing and building award winning bathrooms and kitchens for over 20 years. Quite simply put we are the best in the business and we take great pride in our craftsmanship and our ability to produce the WOW! factor in each and every project. Exceeding our clients expectations is not just a goal at Emrich, It is our policy. Call or email today and begin experiencing the Emrich difference. Rethink Design Studio is an interior architectural design studio based in Savannah, owned by husband-wife duo Joel and Erika Snayd. Since the big move from NYC in 2003, we have been pushing the boundaries of design and ask the questions most clients never think to ask. We specialize in environments for the modern dweller, while paying homage to the structure’s past and architecture (when applicable). 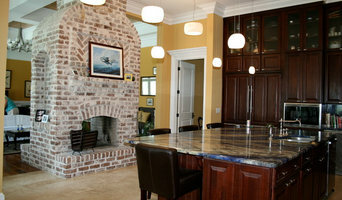 Our signature aesthetic is adding the “urban” to “lowcountry” living. Our goal with every project is to infuse the personality of our clients and produce a warm environment that’s smart, well-balanced and inspired. With more than thirteen years of commercial and residential experience, we don’t just know the lingo for “design / build”, we live it. From the first meeting to the reveal, our process ensures a tailored, one-of-a-kind experience that is uniquely yours. Counterparts Inc. is a countertop fabricator that has been in business for 25+ years. Counterparts fabricates Quartz, Granite, Marble, Quartzite, Dolomite and solid surface such as Corian, Hi-Macs and Wilson-art. 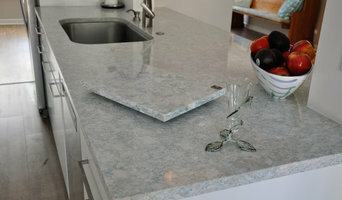 We carry Cambria, LG Viatera, Caesarstone, Hanstone, Wilson-art, Silestone by Cosentino, Zodiac and Polarstone Quartz. We also carry Corian, Hi-Macs. Wilson-art, and Hanex solid surface materials. Ellsworth Design Build is a company that embodies strong work ethic, great pride in our craft, thoughtful design, quality craftsmanship, and expert project management. We specialize in restoration, kitchen and bath renovations, and general home repair and maintenance in Savannah and the Lowcountry. We offer full design/build capabilities, with in house design consultation to help you fulfill your dreams. We have two full time designers, as well as a trained staff of project managers and carpenters to get your project done beautifully and on time. With a shared passion for design, function and authenticity, Victoria Holmes and Lana Salter partnered to create HOLMES + SALTER Interiors, a residential and commercial design firm in Savannah, Georgia. HOLMES + SALTER Interiors aims to curate cohesive designs that are unique to the needs and desires of each client. Their southern roots, combined with their travels both throughout the United States and abroad, have given Victoria and Lana a distinct appreciation for timeless interiors and classic design. Together they offer custom interior design services to their clients derived from a shared vision of livable style. Established in 1987, Cowart Group is a full service architectural firm with numerous American Institute of Architects (AIA) and Historic Preservation awards and over 600 commissions. We practice sustainable design and site specific work, including land planning and interior design, and provide clients with an integrated practice experience, including three phases: design, construction document production and continuing support through construction. We sense the key elements that are unique to each client. We recognize early in the architectural design process how significantly the interior of the home affects the overall design. Attention to details, helping establish a budget and planning each phase of the design helps us achieve a level of trust with you that leads to satisfaction. We work hard to define individual design needs and mesh them with the unique qualities of your property. It is our goal to be sensitive to our environment. We pride ourselves on our environmental ethics and practices. "Sustainable Design" is concerned with the ecological, economic, ethical and social aspects of design and its long-term impacts on our lives. We are certified as Leaders in Energy & Environmental Desgin (LEED Accredited Professionals). Jamestown Designer Kitchens is a team of professionals that specializes in kitchen & bath cabinetry. 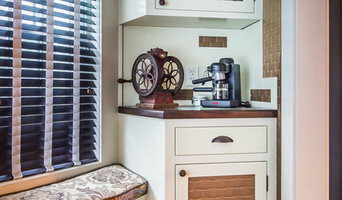 We also offer outdoor cabinetry, grills, appliances, and more. From the beginning stages of design to the completion your project, Jamestown Designer Kitchens strives to serve our clients through creative design, skilled craftsmanship, and attentive service. We use the industry’s best kitchen-design software to bring your ideas to life, allowing you to see what your space will look like and get a true sense of its functionality. Once your plans and product selections have been made and your cabinetry is produced, our team of skilled and professional craftsmen builds the space you have been dreaming of. Our showroom hours are Monday through Friday, 9am to 4pm. Evening & weekends appointments are available upon request. Covenant Millwork Inc. is a small business that custom builds millwork and cabinetry for homeowners, interior designers, and builders. We are also a supplier of reclaimed heart pine and oak flooring, stair treads, and other stair parts. We can also provide other flooring and stair parts in other wood species upon demand. Photography for Architecture, Interior Design, and Real Estate David Robinson is a photographer specializing in photography for architects and the architectural products industry, interior design, and commercial spaces. He is a Professional Member of the American Society of Media Photographers, specializing in Architecture, Interiors, and Hospitality. Recent clients include HGTV, fashion retailer JJill, Hilton, and Marriott. He is available for assignments throughout the United States. David has been a photographer for the past 30 years, and has photographed subjects from bridal and children’s portraits to product photography. David found his niche in architectural photography after working in the kitchen design industry for over a decade. He draws upon that experience to capture the key features of furnishings in all his photographs. In addition to photography, he also has been commissioned to paint various subjects in watercolor and acrylic, illustrate books, and build furniture. In his spare time, he is a drummer and enjoys Okinawan Karatedo. Even if you're the kind of person who makes everything a DIY project, there's always a point when a home remodeling or decorating project could use a professional set of eyes. Whether you are redoing your backyard, need some help planning your living room or can't figure out where to put the kitchen sink, a quality home professional in Statesboro, GA can help you do it right. Hiring a qualified Statesboro, GA home professional puts their years of schooling, certifications, training and experience right at your fingertips. But before you start sending out dozens of emails and making phone calls, sit down and think about your project. What's your budget? What is the scope of your project? Will you need more than one type of professional to complete your home improvement project in Statesboro, GA? Can you afford to complete the full project now, or should you tackle it bit by bit? Once you've settled on your project’s priorities, budget and scope, it's time to start researching Statesboro, GA home design professionals. Don't sell yourself short and settle on the first professional you set your sights on. Make sure that you're working with someone local, who can get to the jobsite easily and efficiently. Look into the person’s reviews, ask to speak with former clients and to see previous jobs in person. Take a good look at their portfolio photos: How similar are these projects to your own? Be honest — that mansion might look beautiful, but it might not have a lot in common with your little bungalow. Reach out to multiple professionals — especially for larger projects — and don't settle for the first bid you hear. Comparing multiple Statesboro, GA professionals' bids and experiences can help you find the one that’s best for you. Ask a lot of questions now, so you won't have unexpected answers later. Find a home design professional on Houzz. Narrow down your search by type of professional and location. Browse Statesboro, GA portfolio photos, read client reviews and contact each Statesboro, GA professional for more information. Check out the information in the specialized professional sections too for tips on how to hire the right professional for your project.